Colorful, vibrant and playful! 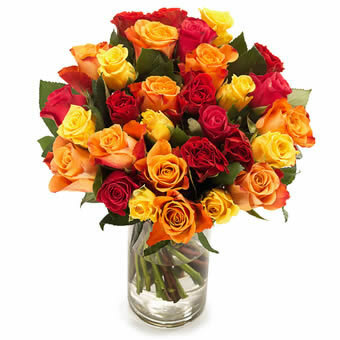 An amazing bouquet of roses in orange, red and yellow colors. ** The vase is not included. ** NOTE: This image shows an example bouquet. There is no specified number of flowers given. The florist will bind the bouquet according to season and region.